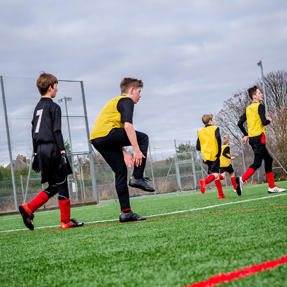 We manage public football pitches across the district – ranging from mini pitches, to artificial and full-sized pitches, both with and without changing facilities. Hiring our pitches All our pitches are available to hire for the season, or for one-off games. See pitch hire costs below. To find out more about hiring a park’s pitch, contact the parks team on 01543 308867 or email parks@lichfielddc.gov.uk. 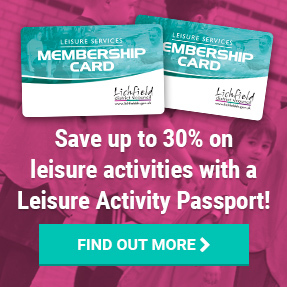 To find out more about hiring a leisure centre pitch, click on the links below. Maintaining our pitches All our pitches are regularly inspected and maintained. Pitches in our parks are maintained by our operational services team. To report an issue with a park pitch, please contact the parks team on 01543 308867 or email parks@lichfielddc.gov.uk. To report an issue with a leisure centre pitch, please contact our leisure centres. Brownsfield Park is on Eastern Avenue and has been the home of Lichfield City Football Club since 2009. The first team plays in the first division of the Midland Combination and the club runs a number of boys’ and girls’ teams. For information about joining the club, or about how to hire the pitch or clubhouse, visit Lichfield City Football Club’s website. The Western Bypass (A51) public open space is home to a variety of football pitches from mini to adult size, which are maintained to a high standard by our operational services team. The park has a free car park. All pitches are available to hire for the season, one-off matches, or training courses. Please contact the parks team on 01543 308863 or email parks@lichfielddc.gov.uk to confirm availability and discuss further. The public open space at the Western Bypass is also an ideal spot for family sporting get togethers and picnics. Please help to look after your parks and open spaces, use the litter and dog waste bins at the site, or take your litter home. Please remember if you allow your dog to foul in a public place, and fail to clean up after it, you are breaking the law. We inspect all of our sites regularly, however, if you spot anything you believe needs our urgent attention, please call 01543 308867 or email parks@lichfielddc.gov.uk. The latest pitch hire fees are available on Lichfield District Council’s website. For one-off games, events, training courses etc, please contact the parks team on 01543 308863 or email parks@lichfielddc.gov.uk for costs and availability. Please note: prices are updated every year.